Ibusuki Onsen refers to the collection of hot springs located in the eastern Ibusuki, Kagoshima area. Some famous hot springs of Ibusuki Onsen include Nigatsuden Onsen, Surigahama Onsen, and Yajigayu Onsen. 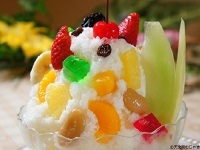 At Ibusuki Onsen, an activity called "sunamushi" is very popular. 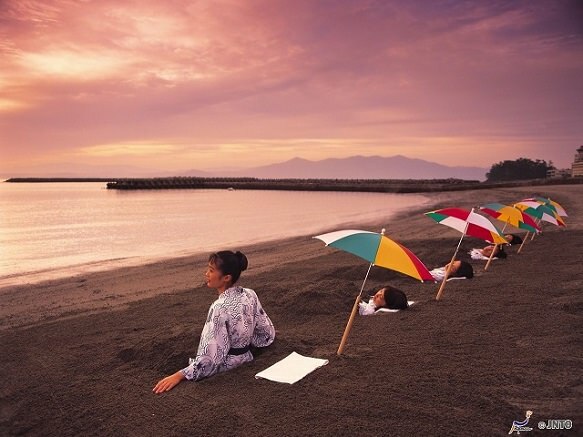 Sunamushi is a type of bathing in which you wear a yukata and cover yourself in sand. The sand steams your body, as you are buried from neck to toe. 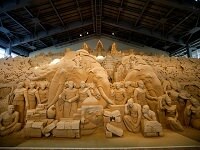 The sand is moderately warm, keeping your body heated. 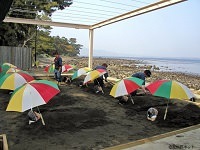 Most baths that offer sunamushi bathing have staff and attendants available to help bury yourself in the sand.